Mega Skip is an extended service for removal of all different type of waste. 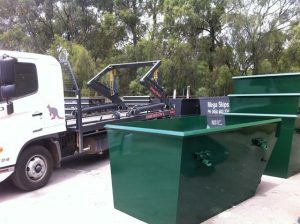 Mega Skip provides Skip Bin Hire in Adelaide and the surrounding area with the motive to keep the megacity clean. Mega skip is an excellent provider of Mega skip hire in Adelaide. For any kind of dump or rubbish, Mega Skip is there to provide you with excellent service. Mega skip provides with Skip Bin hire in Adelaide at many affordable and competitive rates. They have the facility to provide with different size of Skip Bins depending upon the need. Skip Bin Hire has been playing a wonderful role in the gathering of rubbish. As the population density of the city increase, the chances of having waste and rubbish around also increases. Mega skip is an excellent name for Skip Bin Hire that resolves the problem of rubbish. These days new buildings are frequently built, people have become much artistic towards their home and are actively engaged in renovating their homes. Adelaide has beautiful houses with green gardens in the backyard, that green waste is also formed as maintenance of garden from time to time. Moreover, large waste or dumped things also gather in an around residencies and flats that need to be removed from time to time. Such waste if gathered can create surrounding too messy and dirty. It can turn into a huge waste ground and site for various diseases. Hence Mega Skip is avails unmatched Skip Bins hire in Adelaide that helps in keeping the city thoroughly clean. Mega Skip is engaged in providing the most reliable service to ensure that customers do not face any hurdles. Once the skip bins are filled, our expert team is there to collect the waste. It has to be noted that the guidelines provided by Mega Skip need to be followed to ensure that process goes smooth. The Skip Bin hire can be used either for a week or can be used on a contract based depending upon the need. Mega Skip is a service provider with a remarkable positive difference who aims to provide hassle-free, friendly and supreme quality of service. Mega Skip believes that instead of dumping the entire waste, it is always better to segregate waste and then recycle them. Recycling waste is an advantage and it is bliss for nature. 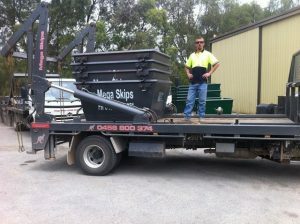 Mega Skip is one among the others for its awesome Skip Bin Hire in Adelaide.